With the start of the new season, everyone wants to spring forward. How do you get motivated? My motivation is the feeling after the accomplishment. I always say (and I truly do believe) that if you put in the work, you will reap the reward. It may not come immediately and it may not come in the exact way you envisioned it, but it will come. And even if you believe it doesn't, what else are you going to do? Quit? You have to play the game in order to win. How do you prepare to lead the pack? Believe it or not, I am very much an introvert. Shout out to all the INFJs - woot woot! I like to be silent and drive in peace either listening to the radio or listening to music. I don't like to think much about anything. It is my way of resetting and saving my energy and thoughts for class. And then after the full-throttle 45-minute cardio concert? I retreat again and I like to be silent and mentally be still. I hear that a lot of people use yoga in the same way. Well, I use the time in my car. I find inspiration from anywhere and anything: song lyrics, graffiti, a book or even an Instagram post (we all do it!). Then I apply it to my own life. I rarely say things in class that don't personally affect my own life, because I know if I have lived it, someone else has as well. Which songs have changed your life? A song lyric that really stuck out to me recently is from a song called "Wasted Youth" by FLETCHER. It goes: "If I'm going to fall, it'll be from high places." It reminds me to dream big and even if I fail, I didn't compromise and I shot for the stars. If I'm going out, it'll be with guns blazing. Currently I'm reading Rework by Jason Fried and David Heinemeier Hansson. It is completely unapologetic and is such an easy, quick read. Just makes you question establishment and archaic ways of doing things. What’s your favorite post-SOUL recipe? Are you into skin or body care? I love the whole Atomy Men’s line: the toner, the essence, the lotion and evening care foam cleanser. I also like Saje Skin Fitness Toner Mist and Saje Rose Euphoric Hydrating Mist, Patchology Flashmasque Facial Sheet: Hydrate and Petitfee Black Pearl & Gold Eye Patch. For body care, I use Atomy Vitamin C Packet 500mg, Naked Nutrition Less Naked Pea Protein in Chocolate, Cellucor Alpha Amino - Fruit Punch and 365 Organic Unfiltered Flax Oil - High Lignan. And which SoulCycle ride has made the biggest impact on you? I still credit LA instructor Heather Peggs with making me fall in love with SoulCycle. She and I connected on both the joyfulness and musicality of each class and each playlist. Then in NYC during training, I fell prey to Janet's bewitching. I still long for it every day. 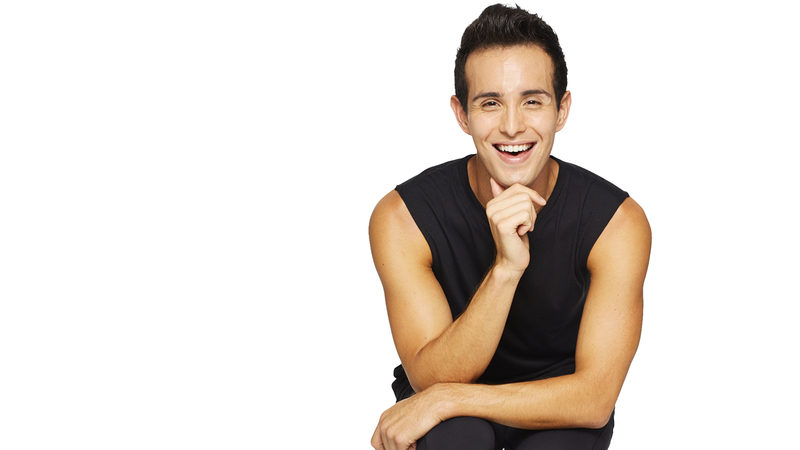 Catch classes with FRANZ at Calabasas, Culver City, Malibu and Santa Monica! Want to ride? Grab a series HERE and book a bike!